Price Reduced! San Marino now $699,900. Pelican Bay – Naples, FL – The Sellers of my San Marino listing have instructed me to lower their listing price from $734,900.00 to $699,900.00. Friendly San Marino has the shortest walk or tram ride to Pelican Bay’s private beach pavilion of any low rise community in Pelican Bay. This spacious 3BR 2B 1st floor unit is seldom offered. It has an inviting living and dining room that opens to a serene screened and glassed lanai with views of tropical landscaping. Beautifully upgraded kitchen and appliances include granite counters, wood finish cabinets. Master suite has enclosed lanai and large, updated bath. Unit includes crown molding, custom paint and window treatments and convenient attached garage. San Marino is impeccably maintained with club house, workout room, spa and extra-large pool for just 83 units. Walk right to the beach or to nearby Tram Stop 6 to be whisked away to Marker36 restaurant and beach. Pelican Bay is Naples’ premier beachfront community, offering members a lifestyle unique in southwest Florida. Besides private beach and dining, exclusive amenities include tennis courts and pro shops, full service community and fitness center, canoes and kayaks and wellness studio. Have pets? San Marino is pet friendly for two dogs of less than 45lbs. Should you or any of your friends or relatives be interested in seeing this unit, I’d be happy to show it. To view more information about this lovely unit including photos click here: 6865 San Marino 304C. Pelican Bay – Naples, FL – My Sellers at 2300 Lambiance Cir #102 in L’Ambiance in Pelican Bay have instructed me to reduce the price of their lovely first floor coach home from $739,900.00 to $724,900.00. To view photos of this newly redone unit click on: www.NaplesWave.com/2300LambianceCIR102 Should you be looking for a larger unit in Pelican Bay or have a friend or family member looking to own in Pelican Bay, I’d be happy to show this unit! 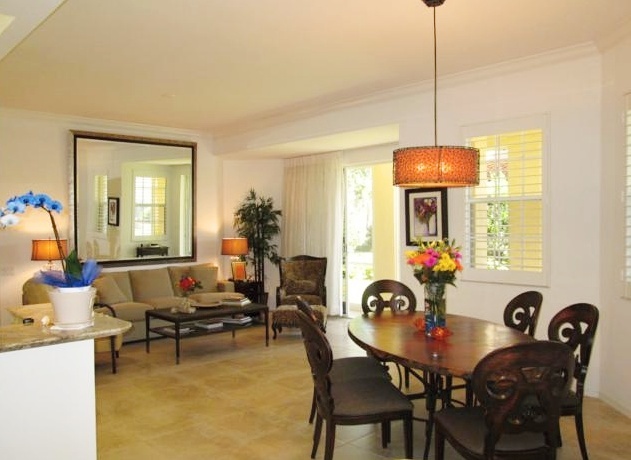 Glencove – Pelican Bay – Naples, FL – My Sellers at 5805 Glencove #706, located in the unique beach community of Pelican Bay in Naples FL, have instructed me to reduce the price of their unit from $359,900.00 to $349,900.00. To view a virtual tour of this lovely unit, click here: http://bit.ly/XlIu5R If you are looking for a 3 bedroom condo in Pelican Bay, this unit has lots of space and is close to The Philharmonic and the south beach tram stop. Need more information? Feel free to call 239-594-2780 or e-mail me at Lynn@NaplesBuys.com I’d love to show this unit to you!